← A rich heritage of books by African, Asian and Caribbean writers. I have recently commenced a traineeship with the archives team at the IOE as part of a program run by The National Archives. In this role I will have the opportunity to learn a wide range of archiving skills as well the chance to indulge my interest in archive collections. My first foray in this capacity was the cataloguing of a collection donated by the Journal of Moral Education. This collection documents the Journal’s organisational policies and procedures giving specific insight into the conceptual processes of the organisation and more general insight into the running of an academic journal. There is an interesting range of materials in the collection, including an extensive selection of meeting minutes (ranging from 1974 to 2012), promotional materials, legal documentation, conference programmes and selected special issue publications. 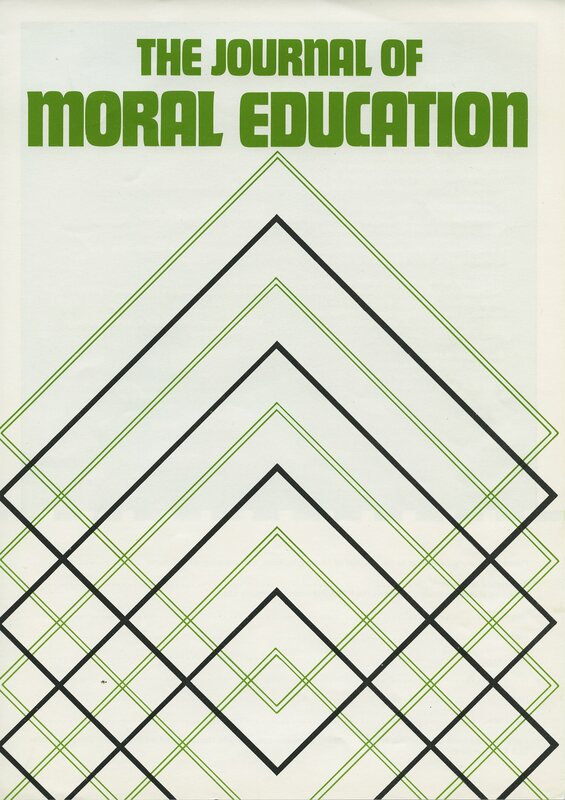 The Journal of Moral Education was inaugurated in 1971 in the UK with the support of the Social Morality Council, an organisation which promoted school curriculum developments in the areas of personal and social morality (see here for further material relating to this organisation). In 1997/98 the journal became a registered company and also obtained charitable status becoming the Journal of Moral Education Trust with strong links to the Association of Moral Education. It was originally led by an editorial board composed of well-known British educationalists and academics, but it increasingly became international in both the composition of the editorial team and range of its contributors, as well as in its scope and content. Furthermore, through collaborations across disciplines, such as their work with renowned American academic, Lawrence Kohlberg (also see JME/4/2 for a series of memorial lectures discussing Kohlberg’s legacy), the Journal moved toward an embrace of both psychological and practical approaches to understanding morality in the field of education. The conceptual issues relating to this approach emerge through a close reading of the organisation’s minutes; particularly those from its early years (see JME/1/1). These documents reveal the initial debates about the direction the Journal should take. There was a desire to strike a balance between a more philosophical exploration of moral education and a direct discussion derived from research based on actual classroom experience. As such, the Journal aimed to appeal to teachers, on a practical level, and also contribute to an expansion of the concept of moral education through academic research across a broad range of disciplines. To accommodate this level of diversity, the journal became an international, multi-disciplinary resource driven by the unifying goal to ‘advance public education and promote research in the theory and practice of moral education'(1). The archive collection can be explored through the online catalogue. For general enquiries or to book an appointment to view the collection, please contact us at arch.enquiries@ioe.ac.uk. The journal itself can be found in the library or in digital form through the library’s electronic resources. 1. Taylor, M. J. (2012). An Historical Overview of the Journal of Moral Education (JME), 1971-2011. This entry was posted in Archives and tagged history of education, International education, Journal of Moral Education, moral education, progressive education. Bookmark the permalink.